Martin Guitar, creator of the finest guitars since 1833, is the lead partner for guitar events around the country for Make Music Day 2018. 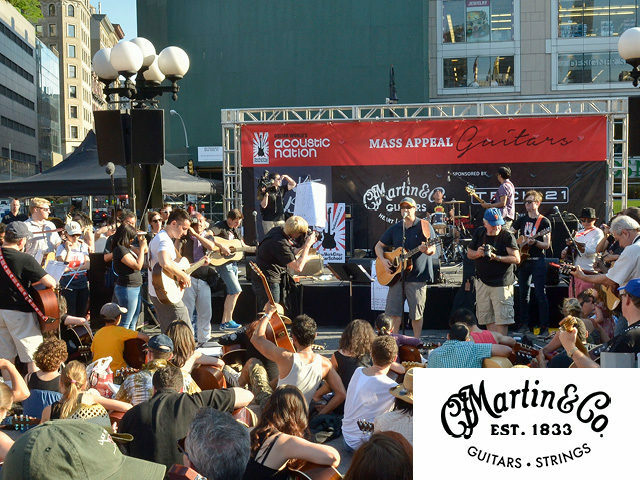 At some Martin Guitar dealer locations, and in dozens of outdoor spaces around the country, guitarists of all levels will come out for free lessons, and to play along in massive strumming crowds (“Mass Appeal Guitars“). Martin will also host special Make Music Day programs for the third year at their museum and visitor’s center in Nazareth, PA.